But while his iconic status may be fixed, the man himself was anything but. 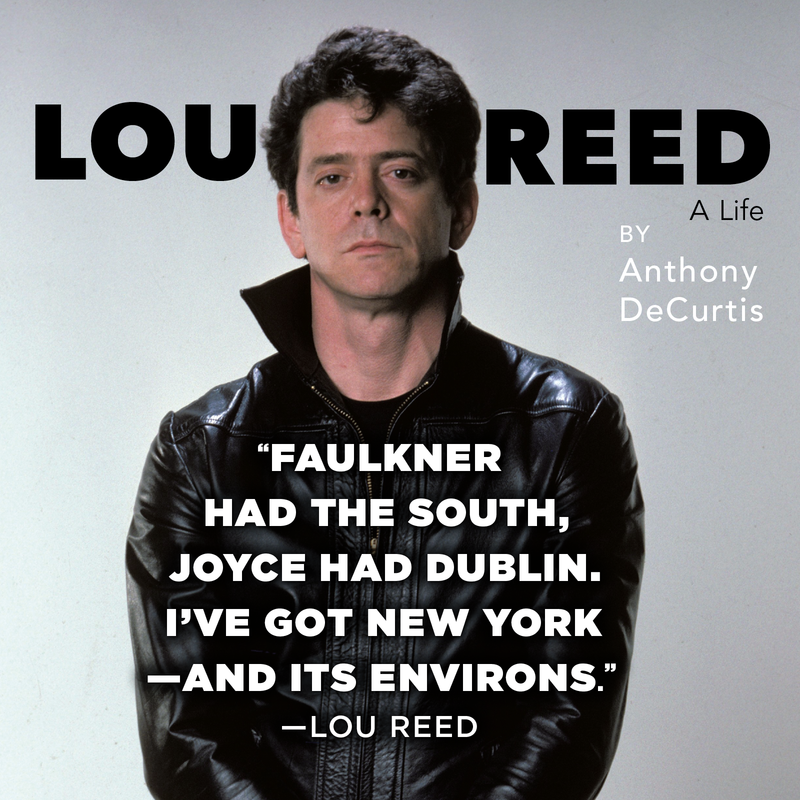 Lou Reed’s life was a transformer’s odyssey. Eternally restless and endlessly hungry for new experiences, Reed reinvented his persona, his sound, even his sexuality time and again. A man of contradictions and extremes, he was fiercely independent yet afraid of being alone, artistically fearless yet deeply paranoid, eager for commercial success yet disdainful of his own triumphs. Channeling his jagged energy and literary sensibility into classic songs – like “Walk on the Wild Side” and “Sweet Jane” – and radically experimental albums alike, Reed remained desperately true to his artistic vision, wherever it led him. 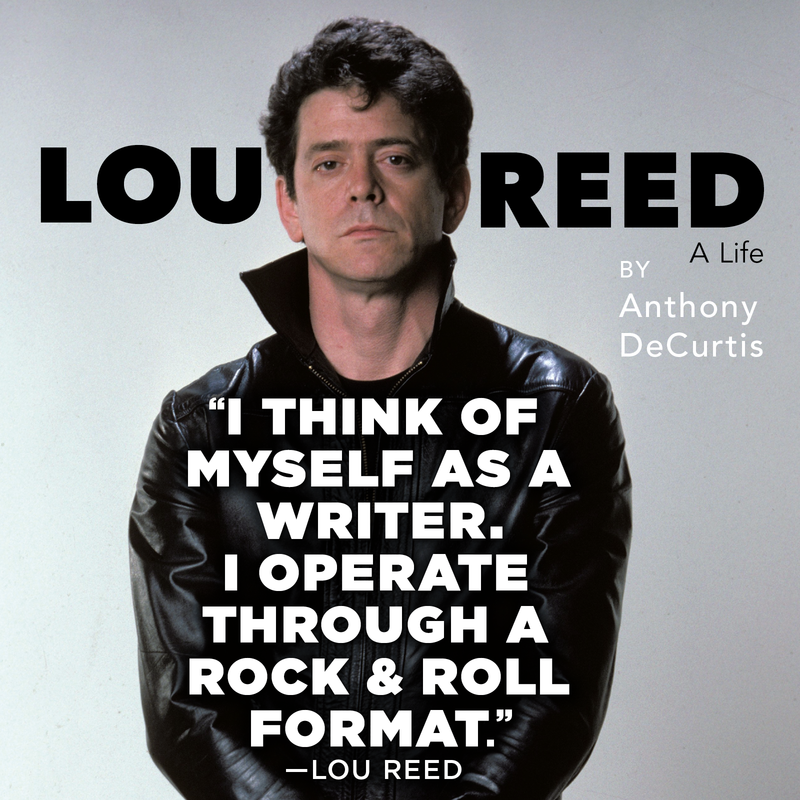 Now, just a few years after Reed’s death, Rolling Stone writer Anthony DeCurtis, who knew Reed and interviewed him extensively, tells the provocative story of his complex and chameleonic life. 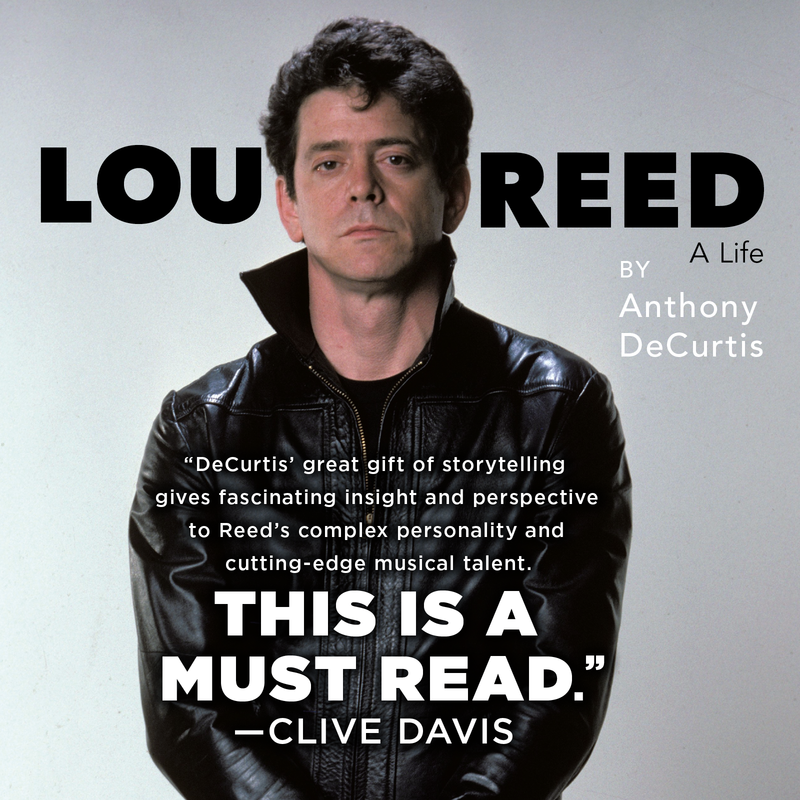 With unparalleled access to dozens of Reed’s friends, family, and collaborators, DeCurtis tracks Reed’s five-decade career through the accounts of those who knew him and through Reed’s most revealing testimony, his music. 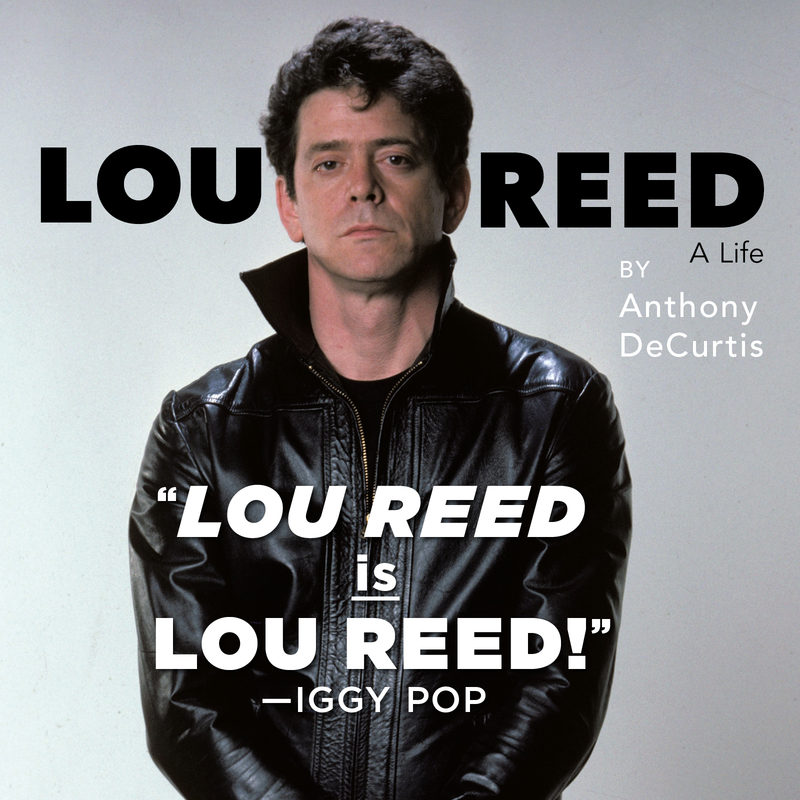 We travel deep into his defiantly subterranean world, enter the studio as the Velvet Underground record their groundbreaking work, and revel in Reed’s relationships with such legendary figures as Andy Warhol, David Bowie, and Laurie Anderson. Gritty, intimate, and unflinching, Lou Reed is an illuminating tribute to one of the most incendiary artists of our time. 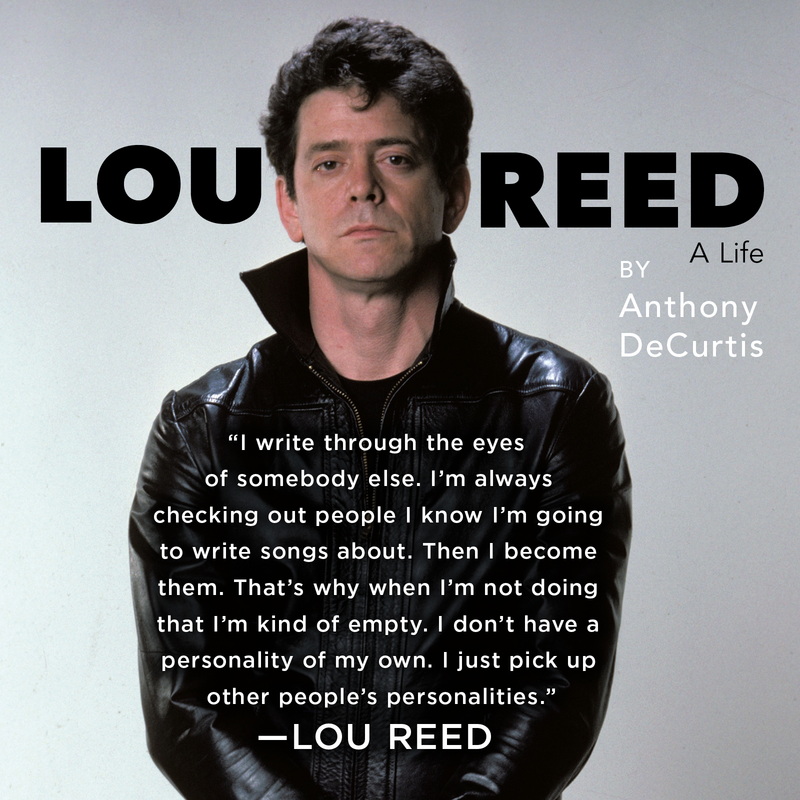 "When most people think of Lou Reed, they picture the black, rotting heart of rock and roll, full of dissonance, decadence and decay. But as Anthony DeCurtis makes clear in his new book, behind the image and the rumors, Lou was one thing: a writer, a man who spent his life telling the absolute, painful truth in his songs - the truth about himself, the scenes he observed, and the world at large. His words were so powerful that the Velvet Underground had to invent a new musical language to match them. 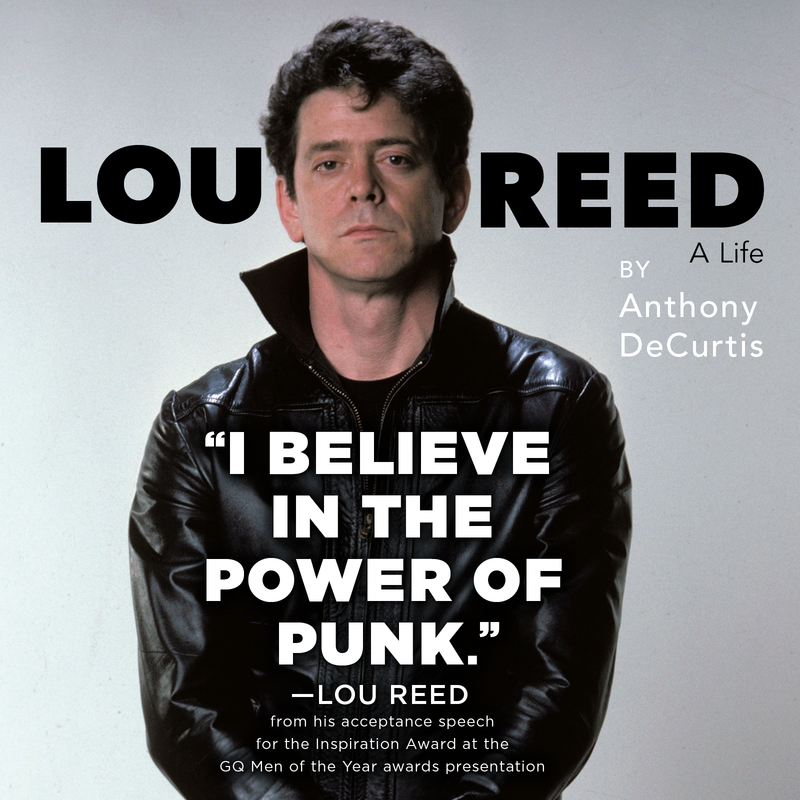 I'm not the first musician to pledge allegiance to Lou and the Velvets, and I won't be the last. 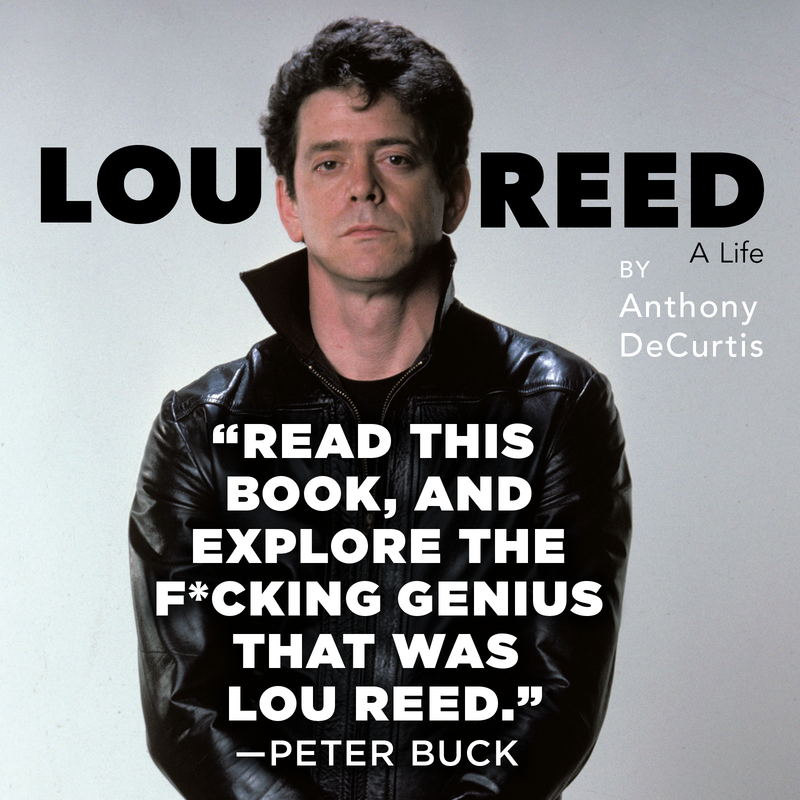 Read this book, and explore the f*cking genius that was Lou Reed. "—Peter Buck, co-founder and lead guitarist of R.E.M.